Company constitutions are often treated as a commodity even though they are a very critical document to the overall effective operation of a company. A constitution, for instance, governs the company’s decision making, powers including the appointment and removal of officers, shareholders and many other aspects of a company. Thus, we strongly recommend that you obtain quality and up to date documents from a law firm practising in this area. Having a poorly drafted constitution for a private company, SMSF trustee, discretionary trust trustee, etc, exposes the company and potentially the officeholders and shareholders of a corporate trustee to numerous legal risks. Moreover, unnecessary costs and greater administrative complexity may arise as well as strategic opportunities missed. This article outlines a number of items that are relevant to a company. Can a person be sued because of a company constitution? Because a company is governed by its internal rules in the constitution and by outside laws such as the Corporations Act (2001) (Cth) (‘CA’), the constitution can obviously be the subject of legal challenge. Section 140 of the CA states that a constitution takes legal effect as a contract between the company and shareholders, the company and each director and secretary, and a shareholder and each other shareholder, where each person agrees to observe the rules. Accordingly, the constitution binds shareholders and regulates what officers can do and advisers that simply go for a cheap or easy supplier without having regard to quality may be at risk if the constitution is unsuitable. Whether the constitution aligns with relevant succession planning strategies. Whether the constitution enables the right people to make decisions. Whether the constitution complies with current laws. Who can act when a director loses capacity or dies? Under most constitutions, a director automatically loses their office when they die or lose mental capacity. However, many incorrectly assume that on loss of mental capacity, a director’s attorney (under an enduring power of attorney) automatically becomes a director, or can at least ‘stand in the same shoes as the director’ and represent the director. Unless the constitution has express provisions, this is not the case. Under most constitutions, the shareholders have power to appoint new directors. However, in many family and private companies there are typically only two directors and shareholders, eg, mum and dad, who act as directors and hold shares equally. Upon the loss of capacity or death of either mum or dad, the attorney of the incapacitated person will usually not have power to appoint a director since they will generally only control 50% of the shares and not more than 50% that is usually required to appoint a director. 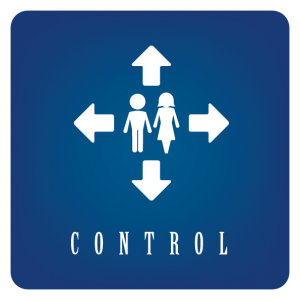 Accordingly, if either mum or dad loses mental capacity or dies, the remaining director (eg, the surviving spouse who usually becomes the sole director) will often effectively control the company’s ongoing affairs. In many cases especially involving second spouses, this can result in a significant legal risk, especially if the relationship has soured. This often results in the wishes of the director who has lost capacity or died being ignored. Very few constitutions address this issue. One way this can be addressed is by providing a successor director mechanism that allows a chosen person to become a director on the loss of mental capacity or death of a director. By using a successor director strategy, a director is able to appoint one or more persons to step into the director’s shoes in the event of the original director’s mental incapacity or death. If a company constitution expressly allows for successor directors and relevant documents were completed, if either mum or dad passes away or loses mental capacity, their nominated successor director could immediately step in as a director upon loss of their mental capacity or death. The other director’s consent would not be required. Who can stand in a shareholder’s shoes for succession planning? Many people assume that an attorney under an enduring power of attorney or executor in the case of a deceased shareholder can represent a shareholder after a shareholder has lost mental capacity or died. Case law makes clear that this is not the case unless the constitution empowers the attorney or executor to act. Many constitutions do not deal with this issue and may, for instance, only allow a proxy to represent a shareholder while the shareholder is still alive. Under most constitutions, a small number of persons (often two) can form a quorum for a meeting of shareholders or directors. If one or more persons are unable to attend (even due to innocent things such as being caught in heavy traffic), a small number of persons may be able to form a quorum and pass important shareholder or director decisions without any input from those not present. This is because decision making is typically structured to allow a majority of those present at the meeting to make decisions, instead of having regard to the overall number of directors or shareholders in existence at the relevant time. A more considered constitution can address this by requiring an overall majority of all directors/shareholders to constitute a quorum (including those not present at a given meeting). mum, who holds 80 shares. If company ABC Trading Pty Ltd calls a meeting while mum is overseas and is unable to attend, certain company constitutions may allow the son and daughter to pass resolutions without the consent of their mother. This could result in shareholders holding only 20% shareholding making an effective resolution that binds the company and other shareholders. Many older or poorly drafted constitutions require certain formalities to be complied with in order to perform simple functions. In particular, they may enshrine the use of older procedures and technologies, such as written notice by post. A modern constitution can provide greater simplicity and flexibility in relation to meeting procedures and making resolutions. One example of this is that a circulating resolution (which does not require a meeting) under most constitutions requires every director to sign before a resolution can be passed. However, the majority of directors may wish to pass a resolution without needing the signature of every director. A more flexible constitution will allow a majority of directors to do this. As meetings decline in importance and more and more resolutions are being passed by circulating resolutions, this issue is growing in significance. A further example of this is that s 127 of the CA states that a sole director who is also the sole secretary can sign documents for the company. It also states that the section does not limit the ways the company may execute a document. A good constitution will add flexibility by stating that a sole director can execute documents, even though they are also not appointed as a secretary of the company. Many SMSF trustee companies currently claim the substantially lower ASIC annual fee reserved for special purpose companies, without having the provisions in their constitution that are required by law to be eligible for the lower ASIC fee. A good constitution will have the requisite provisions. An even better constitution will have an automatic switching provision to ensure that the constitution does not need to be varied in the future if the company is later used for a different purpose. The flexibility to switch from say a sole purpose SMSF trustee to an operating company (or vice versa) can result in considerable time and cost savings. A constitution dated prior to 1995 would typically have been referred to as a ‘memorandum and articles of association’. This terminology is a sure sign that the constitution is considerably out of date. A critical change in law was brought about by the First Corporate Law Simplification Act 1995 (Cth), which reduced the minimum number of directors for a proprietary company from two to one. Unfortunately, many older constitutions and memoranda and articles of association will still say the company must have at least two directors. This can give rise to significant issues for sole director companies or even for multiple director companies as directors inevitably resign, die or lose capacity to make decisions, reducing the number to one. Newer constitutions will usually have addressed this issue. Further, many other memorandum and articles of association do not allow circulating resolutions or other modern features. The latest on TRISs: are you in retirement phase?